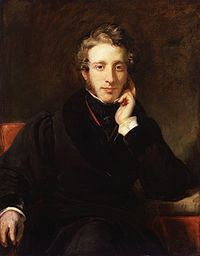 Edward George Earle Lytton Bulwer-Lytton, 1st Baron Lytton, was an English politician, poet, playwright, and prolific novelist. He was immensely popular with the reading public and wrote a stream of bestselling novels which earned him a considerable fortune. But, like many authors of the period, his style now seems florid and embellished to modern tastes. He coined the phrases, "the great unwashed", "pursuit of the almighty dollar", "the pen is mightier than the sword", and the famous opening line, "It was a dark and stormy night."